When you’re in the market for affordably priced composite columns, Melton Classics is the only name in town. 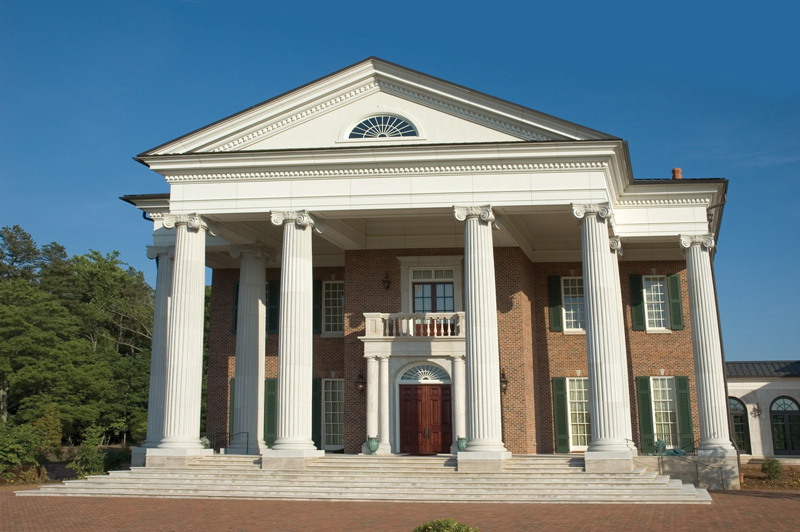 Melton Classics has crafted composite columns for over 20 years and is the industry leader in quality composite columns. We have columns to work with any application or design that could be conceived of. So when your project calls for some quality and affordable composite columns, you’ve come to the right manufacturer. Our composite columns are the industry standard for quality and durability. Our composite columns are backed by our lifetime limited warranty. It’s no wonder that the finest architectural firms and construction outfits in the country use composite columns for their most demanding high traffic projects. Projects such as schools, HUD housing and apartments can be placed in high traffic areas and demand composite columns that can endure. Our composite columns are equally suited to enhance your custom residential project as well. With endless designs and a huge selection of finishes, you’ll find what you’re looking for when you shop at Melton Classics. Our composite columns come as load bearing or split columns and are offered in square or round shaft styles. We have over (40) classical and contemporary designs available. If your home calls for an elegant Roman Corinthian style column or a simple Tuscan style, we have the perfect composite columns to match the individual design of your unique project. Talk to one of our experienced column specialist and get a quote to see how well we can accommodate your budget. Our composite columns are engineered for quick and easy installation. Melton Classics offers complete installation kits with all the hardware you need for a load bearing installation, and for column cover applications, we offer assembly kits to make the joining of the split column halves quick and simple. Call one of our composite columns specialists at 800-963-3060 for a free consultation and quotation today. Get the right composite columns for your project at an affordable price and great customer service, guidelines and advice.